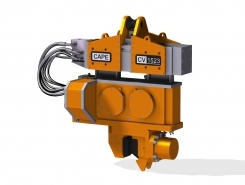 The CAPE Vibro System™ is the next evolution in vibro technology, combining fast installation with Lloyds certified lifting and handling which results in highly efficient and safe installation conditions. Elimination of "Free Pile Run"
At the base of the system is the latest and largest single vibro gearbox in the world with a total eccentric moment of 320kgm. By adding more of these together, Mega Vibro’s can be configured with up to 1280kgm for the largest standard configuration. But even larger is possible on project specific basis. 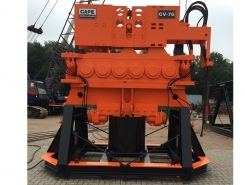 The key advantage of the vibro hammer with upend option (VLT-U) opposed to traditional installation methods is the fact that the vibro is fixed to the pile at all time allowing full control over the installation process and the ability to pick up a stored pile, bring it to a vertical position, hang it overboard and install it, all in one operation. 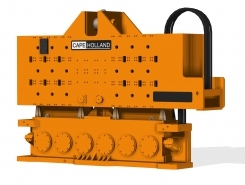 With the pile attached to the vibro hammer hanging in the crane, there is no need for an installation frame on the sea floor or a pile gripper on the side of the vessel. Piles are hanging vertical due to gravity, but can be corrected during operation if they go out of tolerance due to external forces. In worst cases, the pile can even be extracted and re-installed. As the vibro can operate above as well as below water, it doesn’t matter if large monopiles for wind turbines are being installed or pin piles for subsea structures at depths up to 500m. 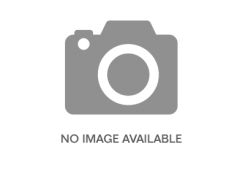 Each of these sets can be equiped with an Upend option(VLT-U).